Camera:DualCamera.0.3MP , Supports video-shoot, the duration depends on storage. By our? Picture Viewer: JPEG, GIF, BMP? Alarm : Yes, supports 5 groups of alarms, can set from Monday to Sunday when cell phone? Sideway I/O:USB/recharging 2-in-1 jack, 3.5mm earphones jack and power button ,volume? 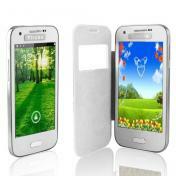 More information: Quad band phone, dualsim cards standby phone, Bluetooth, MP3 / MP4? 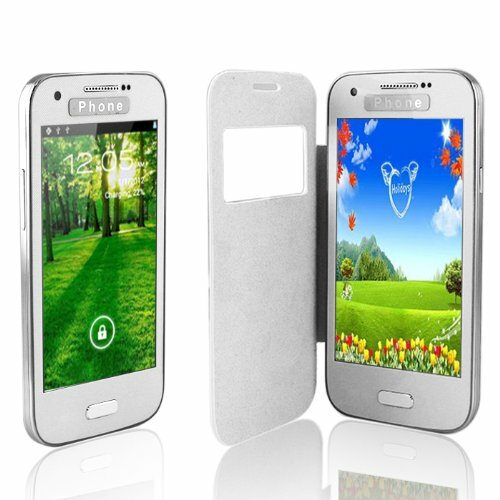 dont bother spending 400 dollars on top brand smart phones, this one does everything they do and more for a third of the price,case is a bit flimsy but thats cheap and easy to fix, a good value phone easy to hold and use, (people think its the latest samsung). It was everything I needed. It was fast and simple. Loving it!!! Using it at work, and its performing perfectly. This phone has great battery life, all the basics. For the price, you could not ask for more. It also arrived promptly.